1) Coat (or brush) Salmon Fillets with Fresh-Squeezed Lemon or Lemon Juice. 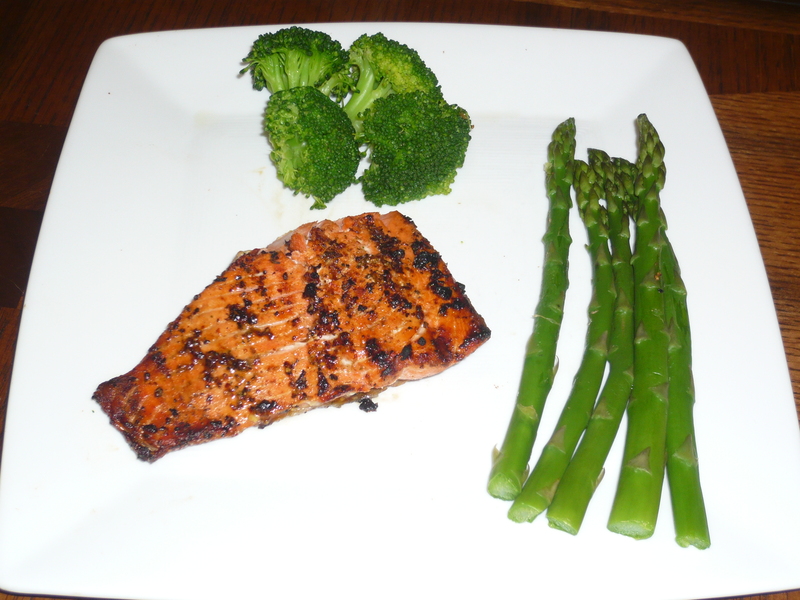 2) Coat (or brush) Salmon Fillets with Extra Virgin Olive Oil. 3) Season skinless side (or both sides if no skin) with Mrs. Dash Original Seasoning. 4) Season skinless side (or both sides if no skin) with Mesquite Seasoning. 5) Place skinless side down first over medium heat on grill (about 450 degrees). Turn over after 3-4 minutes and face skin side down. Flip again as needed to complete cooking.